The Central Tibetan Administration (CTA) expressed concern over the prevailing tense situation in Tibet and asked the Chinese authorities to redress their genuine and long-standing grievances, and find a lasting solution to the puzzle of Tibet through dialogue. The Central Tibetan Administration (CTA) Sunday [October 21, 2012] expressed concern over the prevailing tense situation in Tibet and asked the Chinese authorities to redress the genuine grievances of locals. "The tragic self-immolations by Tibetans would stop only if the Chinese government addresses their genuine and long-standing grievances, and finds a lasting solution to the problem of Tibet through dialogue," Dicki Chhoyang, minister of information and international relations of the CTA, said here. According to the democratically-elected CTA, 56 Tibetans have set themselves afire to protest China's policies and to press their demand for freedom since March 2011. One more Tibetan immolated himself in Tibet's northeastern Sangchu County Saturday, the CTA said. "We again strongly reiterate our long-standing appeal to the international community to press the Chinese government to end the deepening crisis in Tibet," she added. Expressing anguish over the spate of self-immolation incidents in Tibet, the prime minister has asked the Tibetans to refrain from such a drastic form of protest. 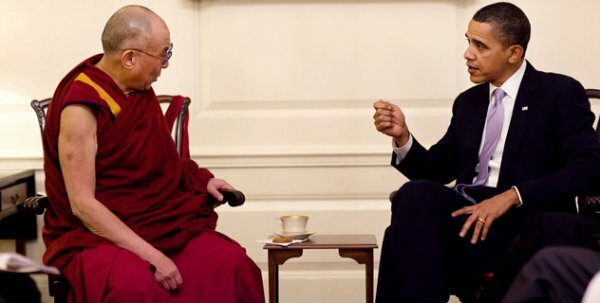 The Dalai Lama has lived in India since fleeing his homeland in 1959. The Tibetan government-in-exile is based in this north Indian hill town.